AN alternative bypass design is attracting increasing attention from candidates in the upcoming state and federal elections. Craig Murray, a civil engineer with more than 30 years experience on major road projects, has been working on the design as an alternative to the cuttings currently being proposed. 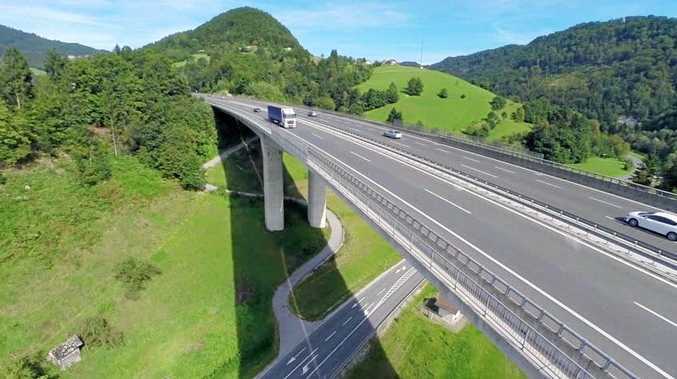 The alternative would include a combination of tunnels, viaducts (long span bridges across farms and environmentally sensitive areas) and some cutting and filling. Mr Murray is from Woolgoolga and works three days a week as a retained consultant on Sydney's WestConnex project. He has a broad range of experience including geotechnical engineering (drilling and assessing ground conditions) and route selection; and has worked for the RMS, local government and as an independent contractor and technical adviser. "I am a local so I care about locals, and as both a local and an experienced engineer, I've taken the opportunity to try to get a better outcome." Mr Murray believes the current plan is unsatisfactory because of the larger footprint it will leave due to the cuttings and resulting fill. "This design looks like it's been done for a green field site - an open plain with paddocks and no development like the Toowoomba bypass site." He has been working with Rod McKelvey to lobby candidates for a commitment to support this alternative option as campaigning heats up for the looming state and federal elections. "We're talking to all the candidates, seeking a commitment to support this alternative prior to the elections and, if it is indeed a funding issue for government, a commitment to increasing this in the future. "They're not making firm commitments but they are listening to us and asking technical questions. "In my view it looks like the RMS has been asked to come up with a low cost design option, and this is inconsistent with the community's expectation of tunnels." This view is supported by Coffs Harbour Mayor Denise Knight who refers to it as an 'el cheapo' bypass. She is one of three councillors who've formed a working group to call for the reinstatement of tunnels. The current proposal, which includes cuttings up to 350 metres wide and 60 metres deep, is not all bad according to Mr Murray. "Where you've got the viaduct over the railway line - that could have been promoted more. You can't fill that in because there's a railway line there, but just because there's no railway line in other valleys and low spots, doesn't mean you should just fill them in." Mr Murray is well aware of the extra costs associated with the operation and maintenance of tunnels but believes estimates have been inflated in an attempt to sell the current concept. He says these costs must also be weighed up with the loss of productive agricultural land which would occur with the cut and fill approach. The alternative plan has been outlined in a preliminary brochure used to lobby politicians and candidates and Mr Murray admits some of the images if viaducts are a bit unrealistic, but this was to counter what he says are unrealistic images depicted on the RMS website, and to show budding politicians the possibilities of what can be achieved. The design has been costed at around $1.39 billion which is comparable to the current concept design estimate of around $1.3 billion.